It’s a strange feeling to be writing October on the board but yet, after a prolonged strike, we only have two full weeks of school under our belts. 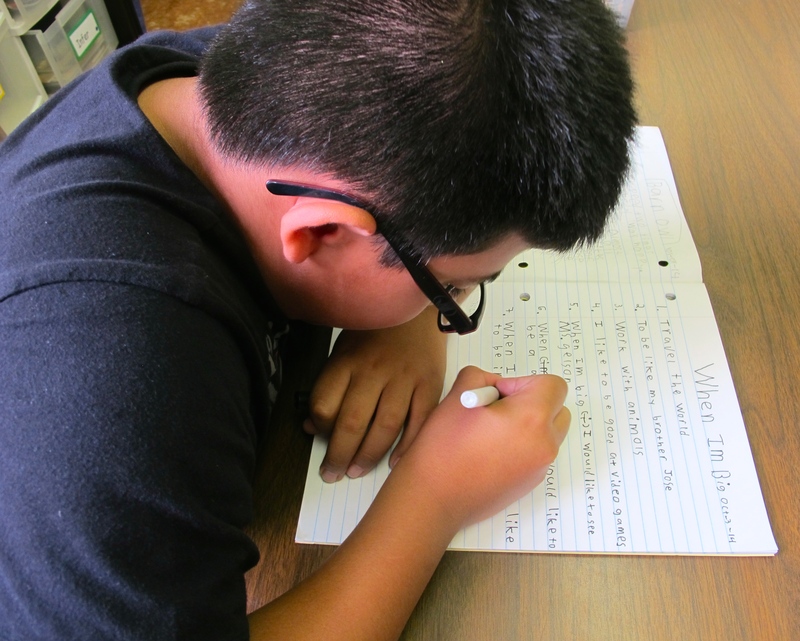 Usually two weeks into a school year means routines are still being practiced and set, schedules are not fully organized, new staff are building relationships with the students and “school stamina” is steadily increasing. While this is all happening in my classroom, it also feels like we are all a little ahead of the game. Is it a typical beginning of October? Not quite. But for a variety of reasons, we have hit the ground running and I couldn’t be prouder. Maybe, it is my excitement to be back and fully immersed in all of the learning. Maybe it is the exact same thing for the students. A lot has to do with the fact that I have again looped a class of students from a 2/3/4 into a 3/4 so that 17 children were in the room last year. Whatever it is, we are back in a big way and this is what I celebrate: our enthusiasm, our passion and our commitment to learning. I thought at first that I was going to highlight all of the academics we have so quickly embraced, but as I was selecting pictures, I realized that our strength and our growth is always such a balance of learning, community and joy. As I often do, I will let these photographs tell our stories. 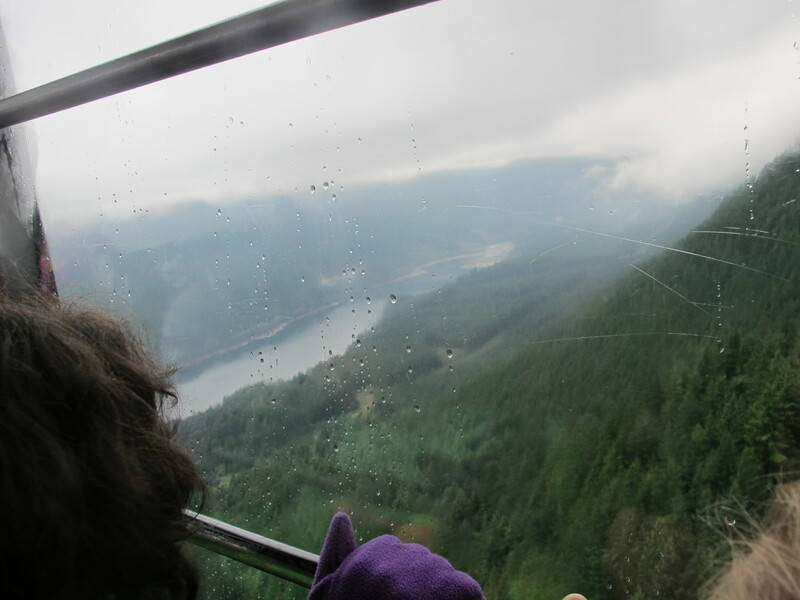 Our week began with an all day field trip up Grouse Mountain into the rain and the clouds. Despite the weather, the kids were troopers. 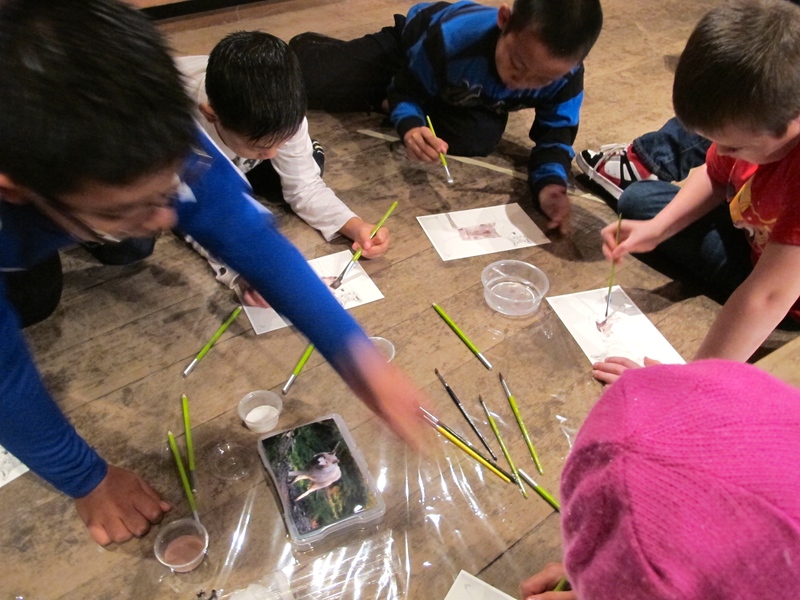 On the mountain, our experiences included time in art galleries and a session in the Feast House with an artist. Students were respectful, curious and engaged. 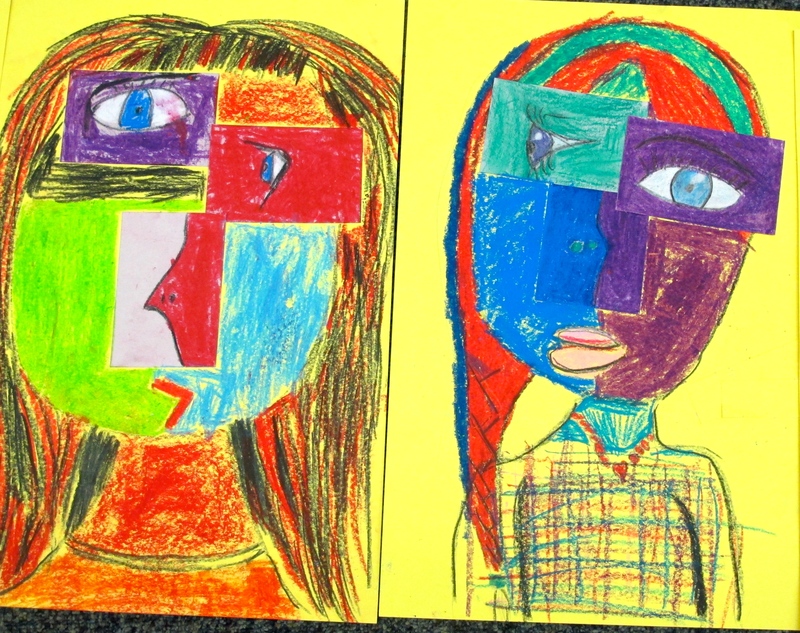 Our first classroom art activity was a Picasso inspired cubist self-portrait project. I love the playfulness it brought out in the children. One of the best parts of our week is our gratitude circle where everyone shares small and large things that we feel grateful for. Always, it is a lovely exercise in sharing and listening. I have been taking individual photos of everyone in our class for a photo project we are working on. 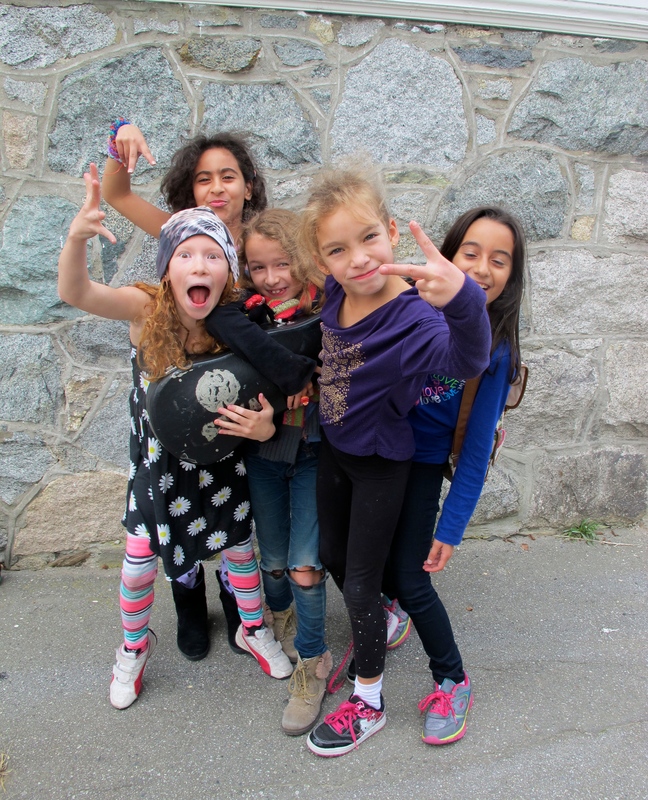 Of course, with a camera we can capture all of the energy that is who we are as a class community. Some of my many girls reveal their personalities. Oh yes, girl power. 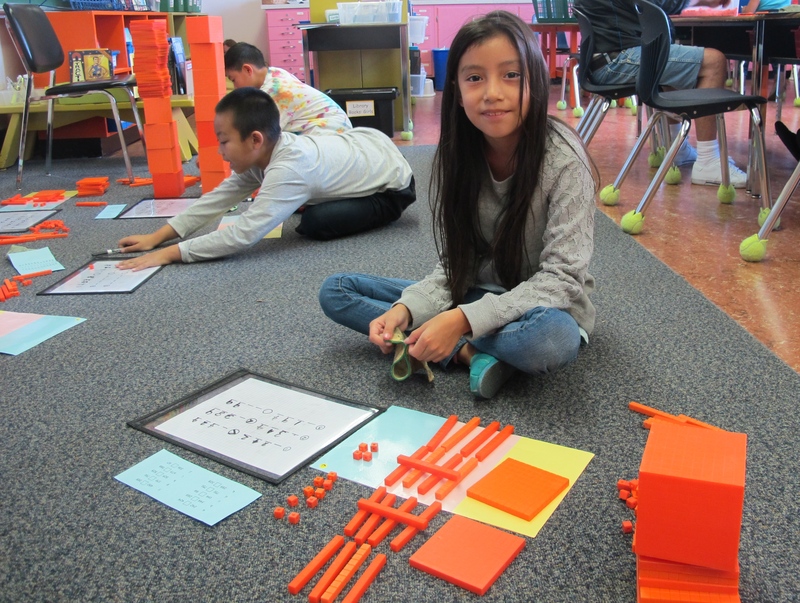 We have leapt fully into the land of 3 and 4 digit numbers – building, comparing, ordering, representing. 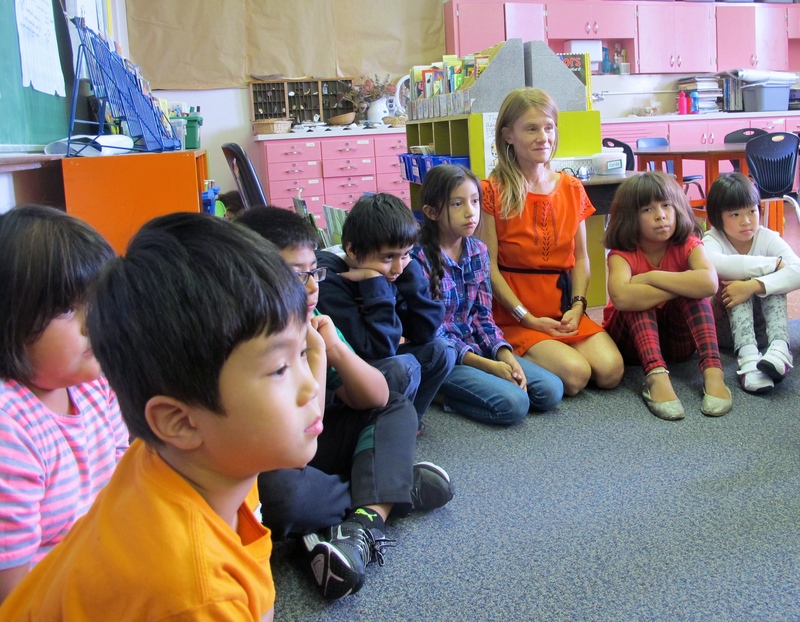 Math is busy and messy with students and materials everywhere – just how we learn best! 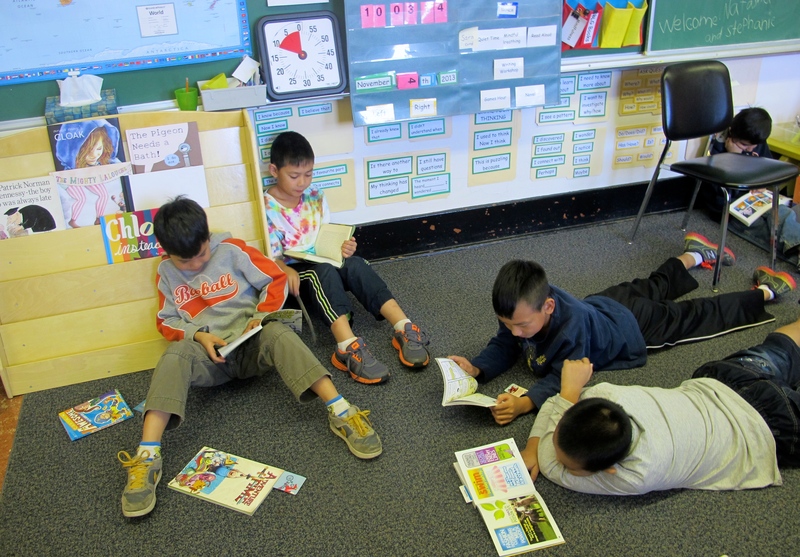 Within the first few minutes of Reading Workshop, these boys have staked out prime reading real estate. They are doing all of the things we have been talking about when we ask what independent reading looks like: find a comfortable spot, have a collection of interesting things to read, build stamina, etc. We welcomed a lovely guest to our room Friday morning and some of us wanted to share some favourite picture books. The image is a little blurry because it is an action shot. These girls didn’t just read the books, they acted them out! Love the spontaneous enthusiasm. A new year and a new grade means new writer’s notebooks and the introduction of felt tipped pens. Using the pens was a recommendation from Colleen Cruz in a session some of my staff and I attended last fall here in Vancouver. As you can see, they sure allow the ideas to flow across the page! Some more busy little writers sharing ideas and the excitement of our new pens! Two weeks in and wow, we have much to celebrate! Thank you also to Ruth Ayres, for the inspiration and her Celebration Link up that she hosts each week. I treasure this #celebratelu community. 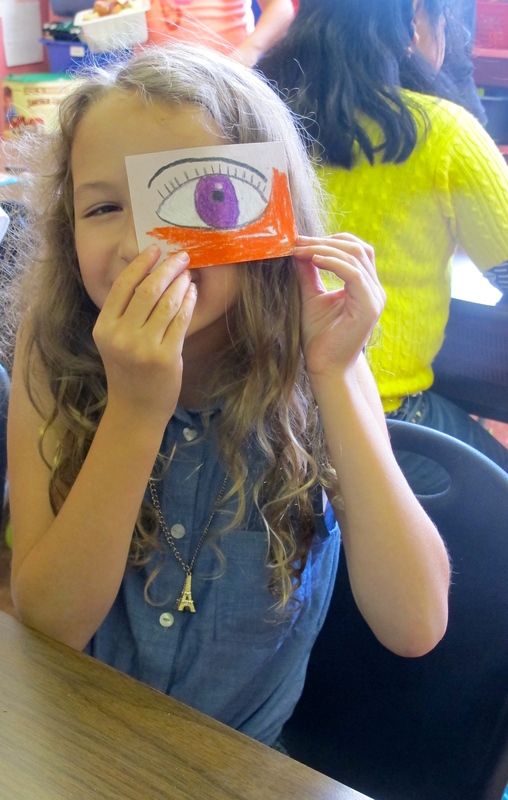 This entry was posted in Celebrate this Week, Classroom Views and tagged art, Celebration, Colleen Cruz, community, field trips by carriegelson. Bookmark the permalink. WOW!! I want to be in your class! So many amazing things you have accomplished in such a short time! LOVE the Picasso lesson! Love the idea of felt tips for writing! So much to love from such a lovely teacher! Your students are blessed! Isn’t is SO GREAT to be back? It is so GREAT to be back! It has been all kinds of wonderful to be doing all of the things we love to do. These art projects are a particular WOW – our room is definitely all the brighter to have these gorgeous portraits up on the walls. And you know, you can be in my class anytime! The energy, excitement, and enthusiasm jumped from your words and pictures. Your vibrant learning community is inspiring! Thanks Kim! I am very grateful to spend each day with these brilliant little people. Love hearing about each part, Carrie. The Picasso work is spectacular, love the pics of kids reading & doing math, & the girl power! I think felt tips help even our older students, although by the time I did have them, they had increased finger strength through keyboarding. Special to have those pens! Glad it’s been a good two weeks-seems like it’s flown! It does seem like it has flown. I love that we feel fully back into it! I am thrilled with these self portraits as well. I think I will do a post about them on our class blog. I will share with you if we do. Kids so very excited and proud of these! It’s beautiful to see your writers & readers totally engaged! What kind of felt tips do you use that don’t bleed through the page? Wonderful Picasso self-portraits. I will have to look at work to see the pen brand – I ordered them in spring so can’t remember off the top of my head. And yes lots of literacy engagement! What a fun look into your classroom. I am sure you will be celebrating your return for quite awhile! I think so! We are all so very happy to be back. The entire strike and all of those weeks off was a nightmare in many ways. Gosh – talk about momentum! You’re making up for lost time!!!! 😉 LOVE the Picasso self-portraits! These portraits look stunning lining our bulletin board above our black board/screen. So bright and colourful. What an amazing week! It is fun to see the energy and creativity of your students. As always, the child in me knows I would have flourished in your classroom. Crystal, that means so much to me. I really want our room to be a place that children love to be and where learning feels lots of fun. Loralee – thank you. How very sweet.